Older alarm systems have their virtues, but one glaring flaw many of them have is that you can’t do much with them once you’ve left the house. If you’re at work or on vacation and something happens, you may not find out for hours, maybe even days, and that’s a nasty surprise nobody wants to come to. Encore Audio Video can build a network of cameras and sensors around your home to give you a complete picture of what’s happening inside and outside, 24/7. 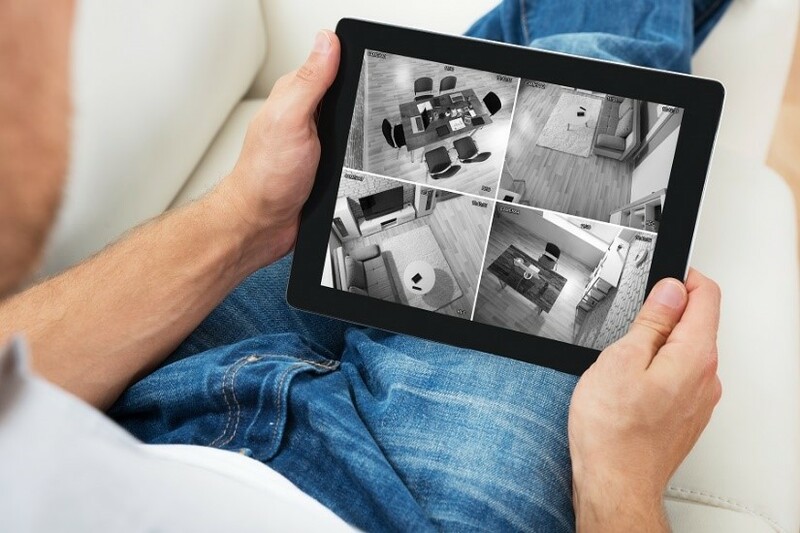 These surveillance systems also let you let you check the video feeds from your cameras using your phone or other device, so you can check in on your family whenever you want. And if, heaven forbid, something should happen, you’ll get an alert within seconds so you can take appropriate action. The best way to make sure nothing happens to your loved ones inside your home is to keep out the bad guys in the first place. Home surveillance systems from Encore Audio Video do just that. Automated surveillance systems let you lock all your doors, turn on your cameras and sensors, and check to see if there are any breaks in the system from an app. This makes it easy to make sure your home is fully locked down before you leave for work or vacation. While automated surveillance systems are great at keeping intruders out, they also make it easier to let people in if you wish. A smart doorbell with a camera lets you see who’s at your door, and you can let them in remotely using your phone and then lock the door behind them once they’ve completed their business. One of the guiding principles of smart home automation is that systems worked better when they’re linked, and that’s true of home surveillance as well. Instead of several disparate security elements working individually, automated systems create a multi-faceted security web that can handle any threat. When your cameras, sensors, smart locks and other components are working together, your security system is that much more powerful. If you’re curious about how Encore Audio Video can improve the security of your home, now’s the time to reach out. Give us a call at (503) 676-6478, or you can reach us on our website.